The Samsung Galaxy Note 9 is being prepared as you read this and it sounds like Sammy is working on cramming in a bigger battery. According to a source of The Korea Herald, Samsung is working on placing a fingerprint reader behind the glass screen of the Galaxy Note 9. While this is great for a large edge to edge Infinity Display, the source says it also means we see more room for a bigger battery. The Samsung Galaxy Note 7 came with a 3,200 mAh battery, while the Note 8 saw a slight increase to 3,300 mAh and the Galaxy S9 Plus came toting a 3,500 mAh unit. So we’d expect the Galaxy Note 9 to come with at least the same size as the S9 Plus or perhaps a slightly larger unit. The Huawei Mate 10, which also has a front-facing fingerprint scanner, comes with a 4,000 mAh battery so we may yet see the Note 9 push the limits for Samsung too. A Samsung Galaxy Note 9 equipped with a 4,000 mAh battery would be a tantalising prospect, and there's no doubting that fans of the series would welcome the extra juice, which would help them get the most out of its powerful hardware, screen and S Pen stylus. 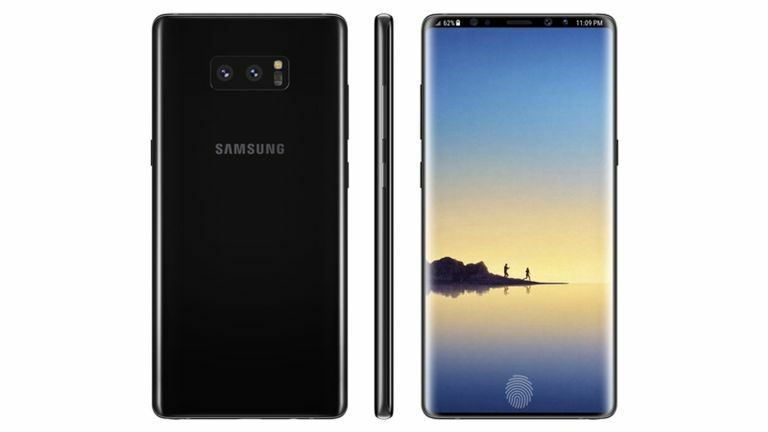 Of course all this must be taken with a pinch of salt as there have also been rumours of the in-screen fingerprint reader not making it to market until the Galaxy Note 10. Whatever we end up with it looks set to be revealed as soon as July.